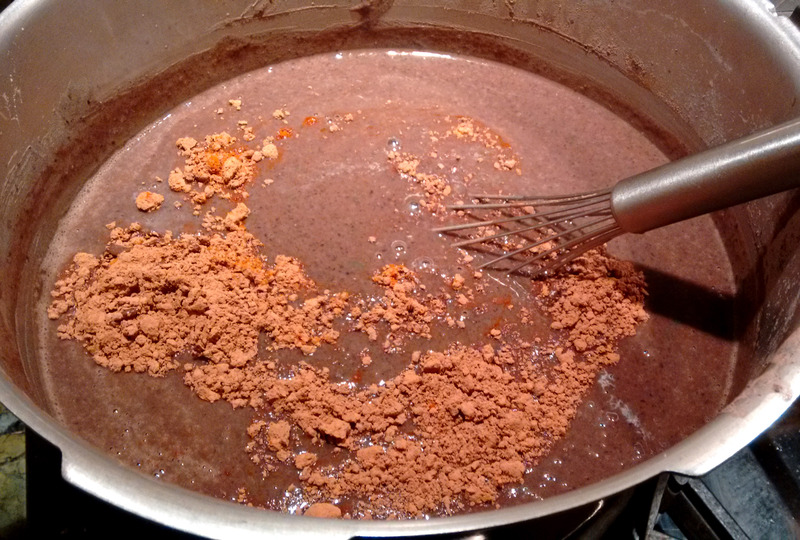 This Black Bean Chocolate Soup is not my mother’s recipe. 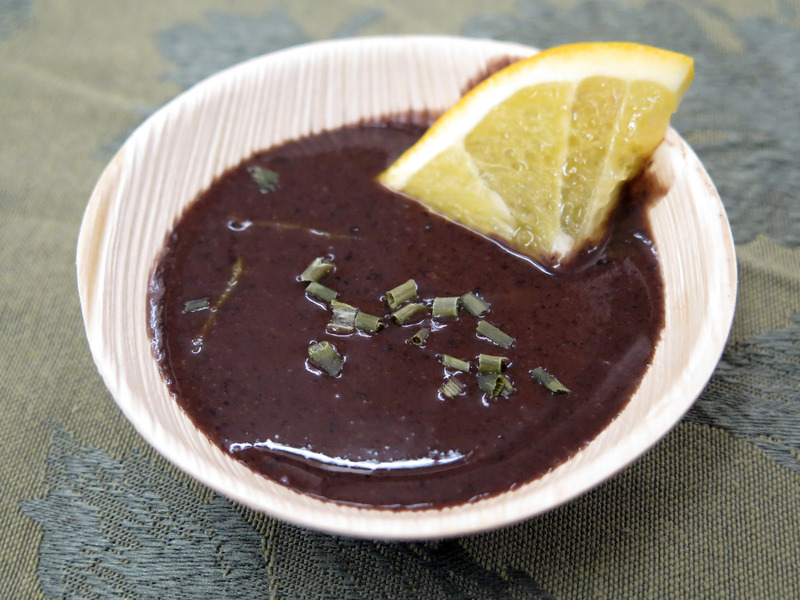 But it started as a Brazilian blended soup. A caldo for a celebration day. Congratulations to Capital Roots for the Grand Opening of the Urban Grow Center, a regional food hub with the goal to nourish 300,000 people with 1,000,000 pounds of fresh food each year. 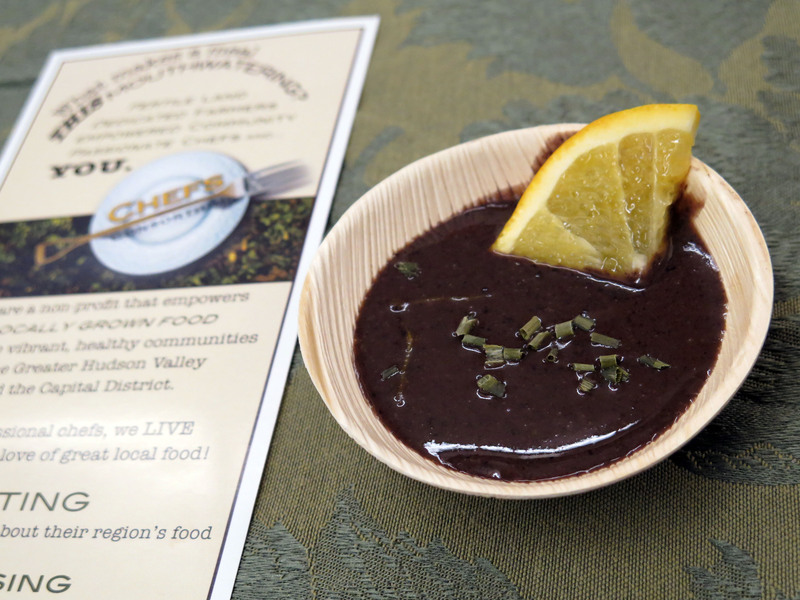 It was my pleasure to join fellow Chefs Consortium members Renee Panetta and Lecco Morris and serve this soup. Several years back, when I met Chefs Consortium Noah Sheets, I learned that New York grows black beans and I could get it at Honest Weight Food Co-op. Since then, I have learned so much about local food in New York. Recently I felt in love with local ginger from Little Seed Gardens and that I could get that at Troy Farmer’s Market. 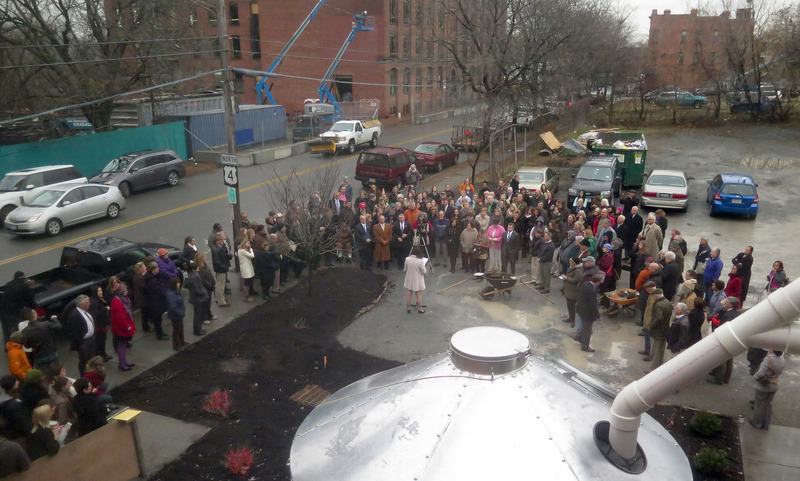 The Urban Grow Center will help more people have access to local and fresh food. Local food tastes better for so many reasons. The stories and connections make the taste unforgettable. 2 pounds of dried NY black beans, cooked with 1 TBSP of salt and 2 bay leaves in the pressure cooker for 20 minutes. Or you can soak the beans overnight in salt, drain and cook in fresh water on a slow cook for 8 hours on low or boil for a couple hours until tender on stove top. Serve hot with orange slices.